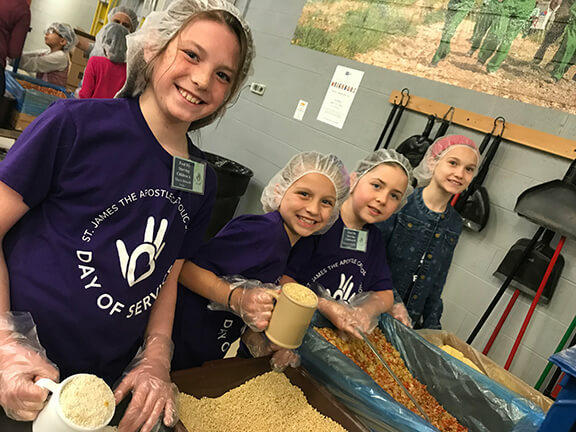 On May 4th, the students of St. James the Apostle School participated in their annual “Day of Service”. Students collected all sorts of supplies to prepare. On the actual day, the students and parent volunteers were divided into groups. Each group visited various places in the community and volunteered. They packed food, sang songs, read the paper, cleaned up sticks and more. That afternoon, they came back to school and did activities onsite. 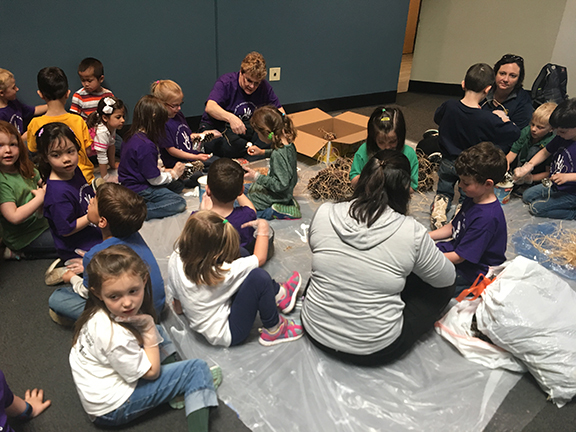 They included packing boxes for kids with cancer, making snacks for the wildlife center, designing posters to help animals find their forever homes and more. To wrap up the day, Father Mark came to talk about how their work impacted the community, how they were living out what Jesus teaches us and how they need to continue their good works. It was such a impactful day. Thank you to our many staff, parent and student volunteers for making such a difference in our community.